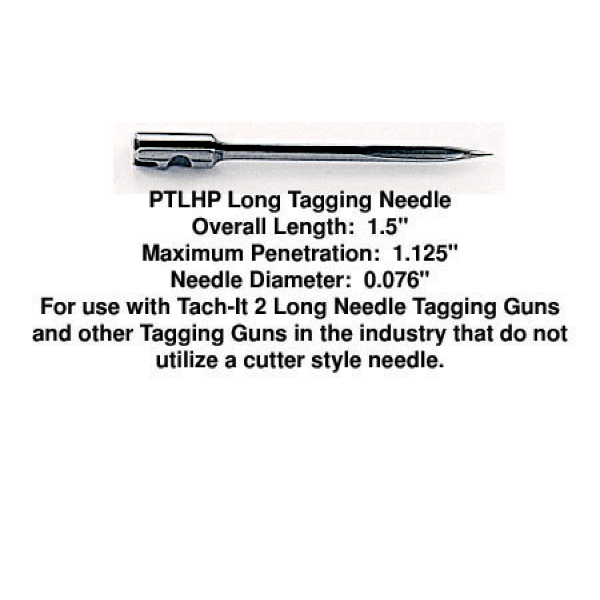 Tach-It Pro-Tach PTLHP Long Needle. 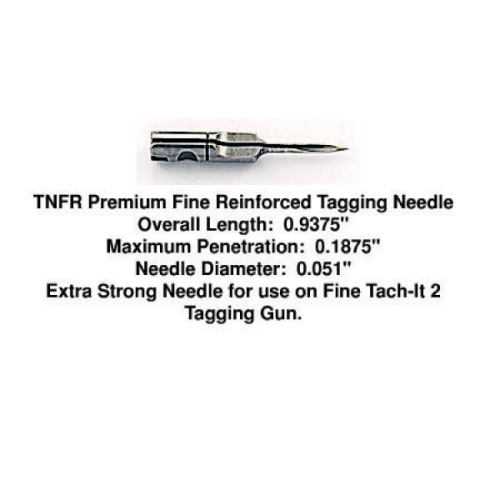 For use in the Tach-It 2 Long (TI2L) Tagging Tool and other long needle tagging tools that utilize a needle that does not have a cutting blade located in the needle shaft. The PTLHP has is modified to allow for the use of 1 inch long or shorter fasteners in long needle tagging tools. 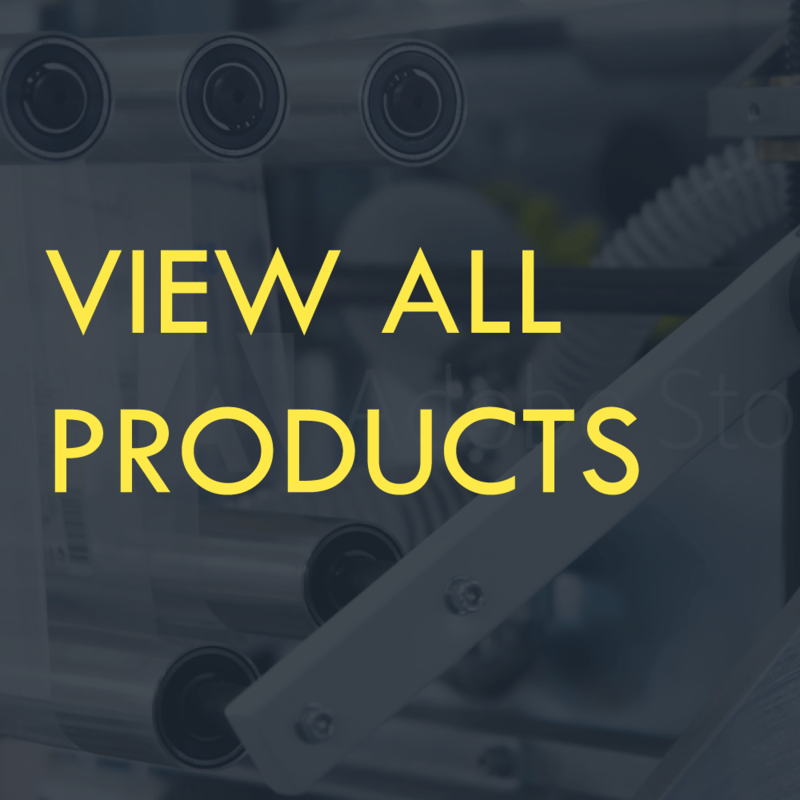 This is perfect for applications where the products are compressed and the fastener is used as a tack such as for hosiery, towels, quilting, and etc. 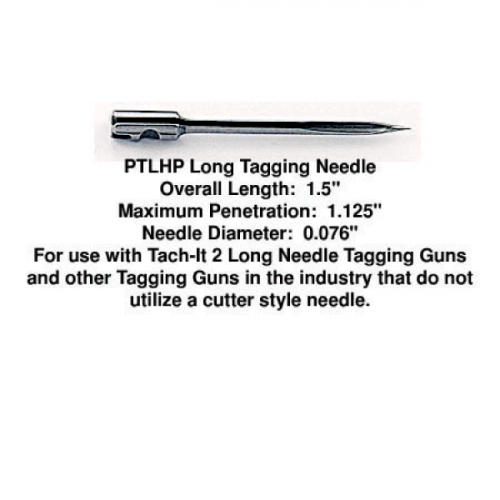 The Tach-It PTLHP Pro-Tach Long Tagging Needle is designed for use in the Long Tach-It 2 Tagging Tool Style #TI2L and is machined from solid hardened steel rod. 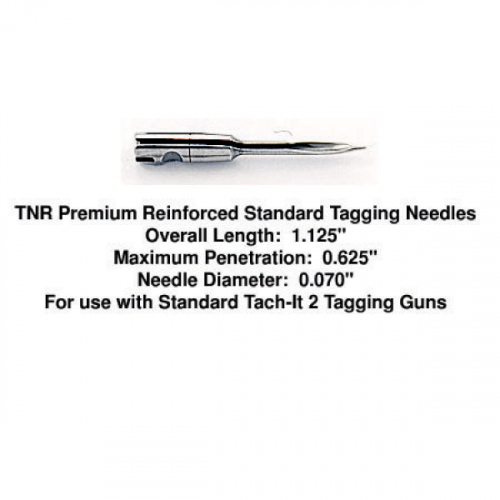 PTLHP needles are packed 3 needles per package and allow for fasteners shorter than 1 inch in length to be used in the TI2L tagging tool.